But Motorola do not provide frequent update especially maps outside of US. 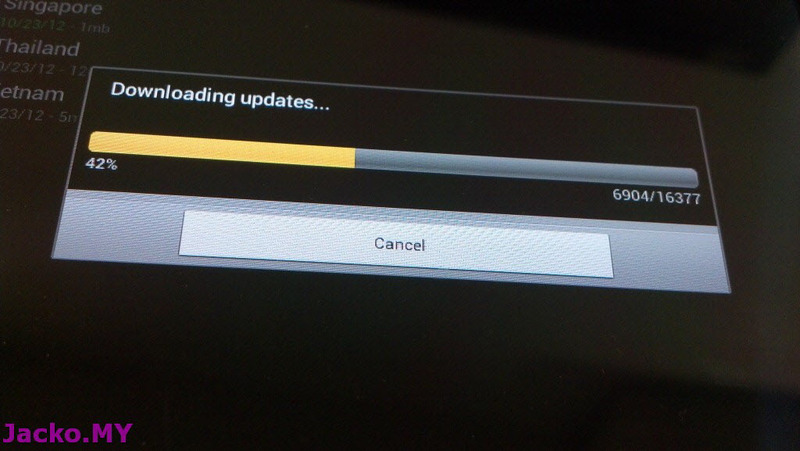 Fortunately, there is a workaround and it's very simple, provided you have an Android device. 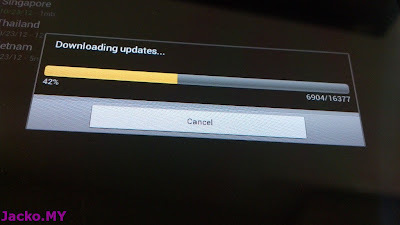 Read the steps after the break. Copy the files out to a PC. 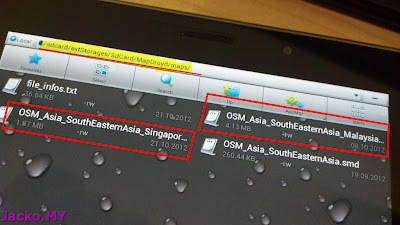 There are many methods to transfer the map files out from the phone or tablet, I assume you know how. 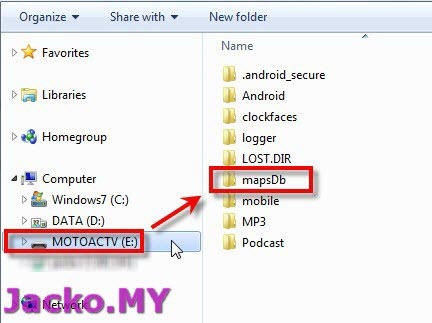 Delete the duplicate map files in MotoActv. The MotoActv crashed when I had two similar map files (the existing by Motorola and MapDroyd) in the folder. 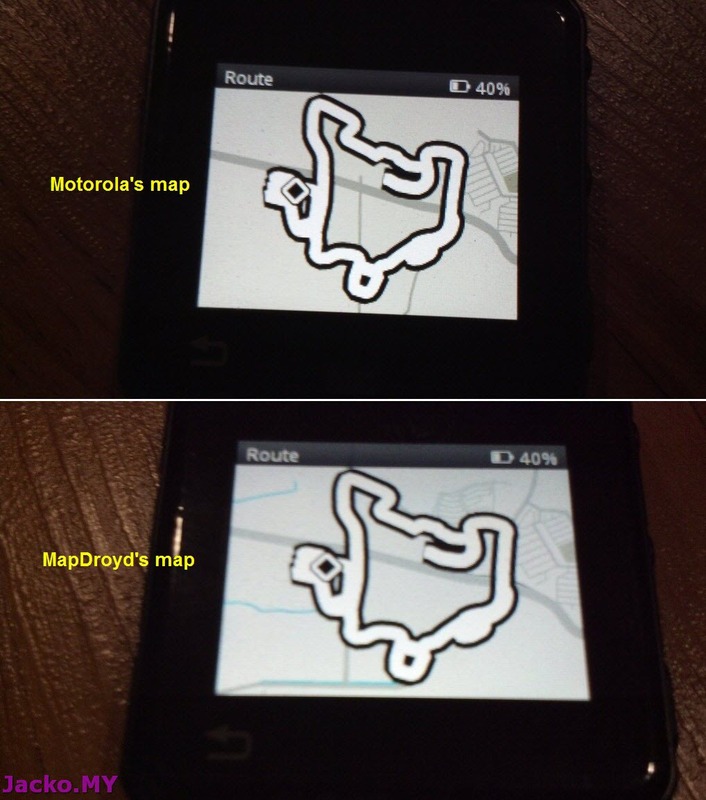 Not very significant different (between Moto's and MapDroyd's) for my area as it's still undergoing development. 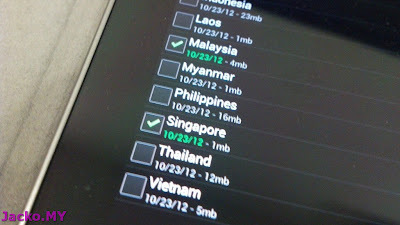 You probably get more details from MapDroyd if your area is established. 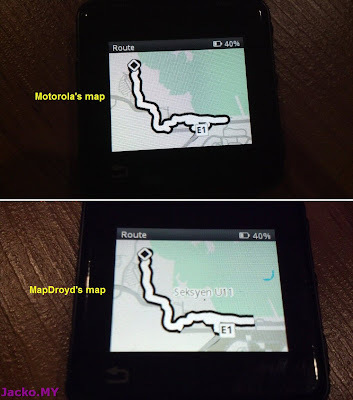 MapDroyd is just an example of Open Source Map software, you can use other so long the file format is compatible with MotoActv. Be aware of any copyright issue that may arise from using the maps as well. 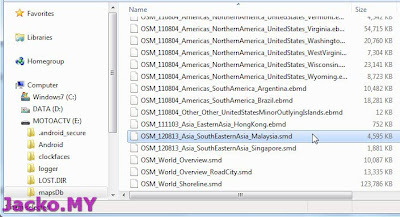 is there something to do on the map file? some have extension ebdm other smd..what is right? Do you have 2 map files for similar area in the folder? 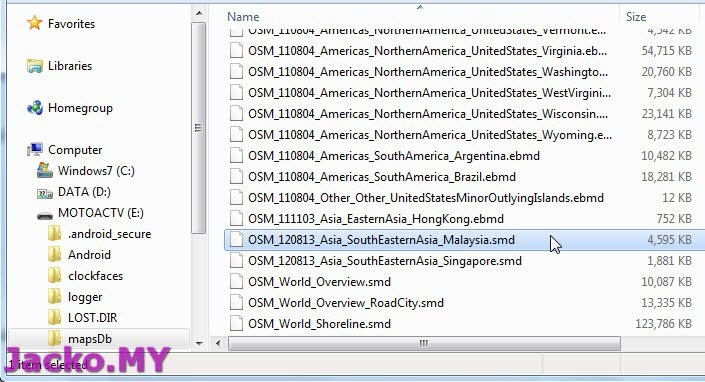 Try move the old map file out from the folder. As far as my experience could tell, extension doesn't really matter. No harm trying to change the extension see if it helps.